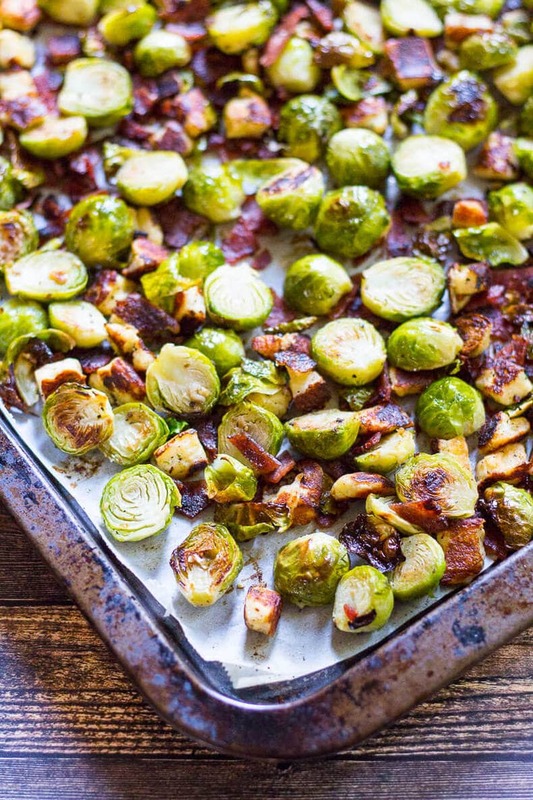 These Crispy Bacon Brussels Sprouts with Halloumi cheese are the most delicious, oven-roasted fall side dish and ready in just 15 minutes! I am SO excited to be sharing some family photos with you today. 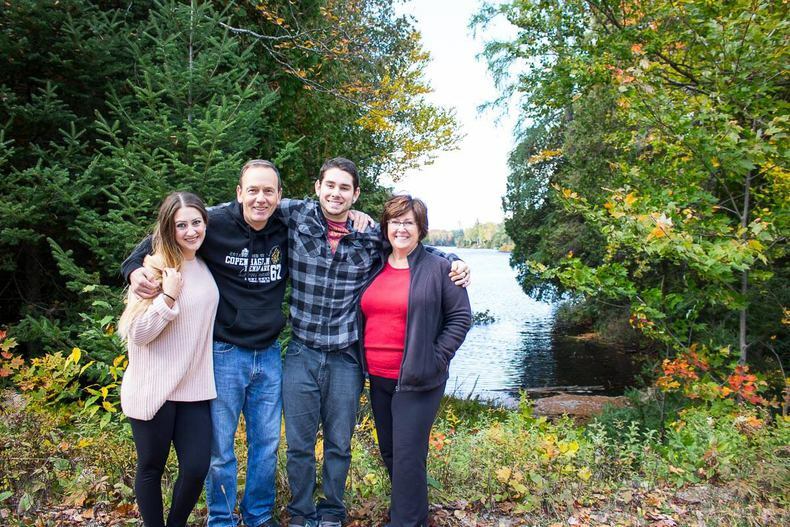 As you may or may not know, I'm venturing more and more into portrait photography and got the chance to take some beautiful pics up in northern Ontario's Muskoka region this past weekend. If you've been following along on my Snapchat (add me: thegirlonbloor) and Instagram, then you'll know that I spent Canadian Thanksgiving up at my family cottage (with lots of Pumpkin Spice Frappuccinos to go around). The weather was great – I got to go for the most gorgeous jog in the crisp fall air (I sometimes got distracted by all the colourful trees), and there was lots of good food and drink to go around (did anyone say Steak and Arugula Bites or a Fall Tapas Board? ), along with some card games and, maybe, some dance parties in the kitchen brought on by this Sparkling Cranberry Punch. I seriously have the best time when it's just the four of us together, which doesn't happen very often anymore because of our crazy schedules. I'm constantly busy with my photography, writing and recipe development, while my little brother is just finishing up his college diploma in mechanical engineering and is co-oping full time right now. My parents, of course, also both work like crazy, so it's really difficult to get everyone together for a little R&R without constant distraction. I'm sure if you're entering adulthood and trying to navigate that weird time in between full time work and school, you can relate. It seems like we barely get the time anymore to just unplug and be together, appreciating each other's company. 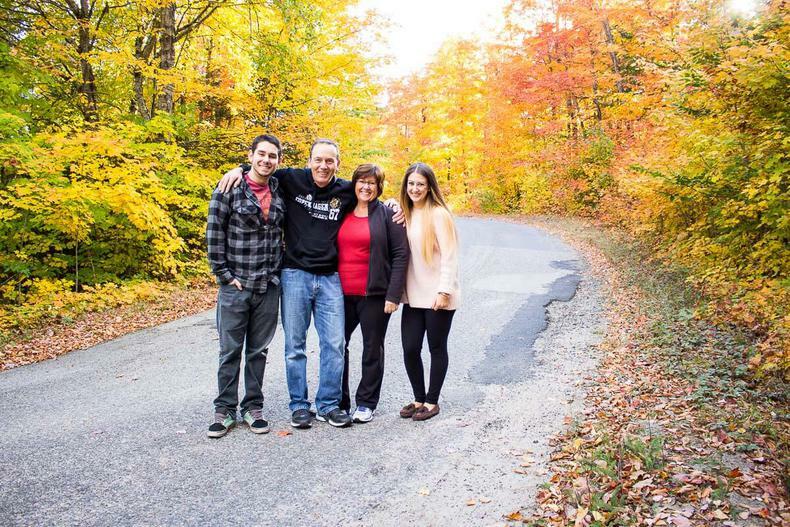 While Canadian Thanksgiving has passed, it really hasn't stopped me from appreciating the people I have in my life, and the amazing family I've been blessed with. The older I get, the more I realize that not everyone is so lucky to have such a unique and cohesive bond like we do. And of course, how can you celebrate family without food?! 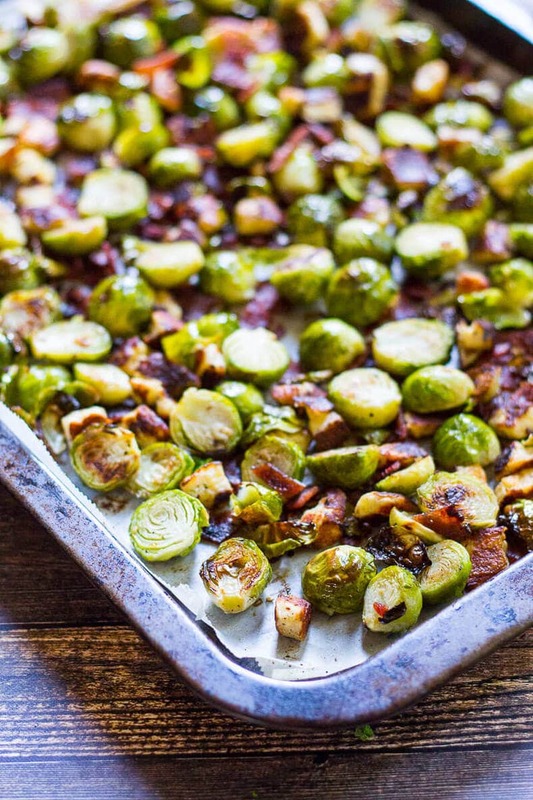 These Bacon Brussels Sprouts with Halloumi are one of my new favourite Thanksgiving side dishes (besides maybe this Butternut Squash Gnocchi), and needless to say they made an appearance this past weekend up at the cottage. The best part is, they're a great way to get a little extra green in on your plate while being deceptively easy, so you can get back to what's most important: family time! 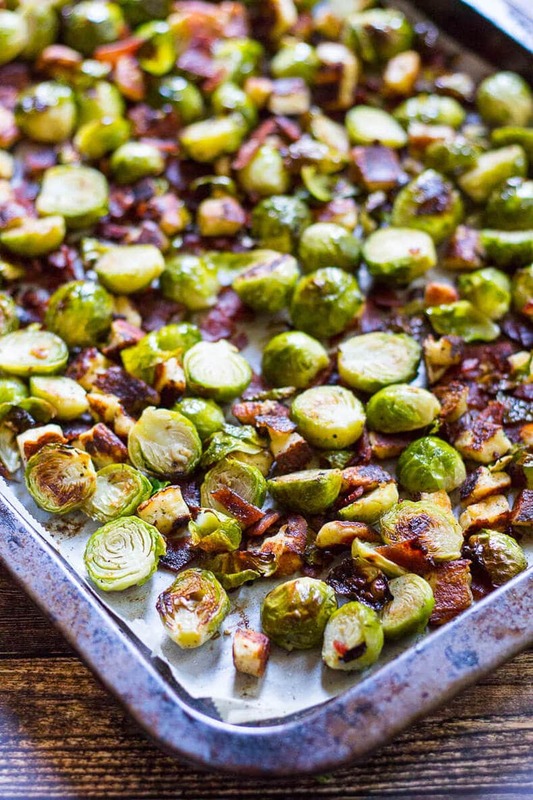 Now I know you’re gonna love these bacon brussels sprouts, but there’s even more reason to celebrate and be thankful for this year: if you checked out my Sausage and Mushroom Stuffed Squash recipe, you'll know that Loblaws is hosting a pretty sweet #HeartfeltFood contest contest. If you enter on Facebook, you could win the grand prize of a catered family feast for you and up to nine guests in your home, along with a keepsake culinary cookbook! How's that for some extra-special family bonding time? And if you don't happen to win the family feast, Loblaws still wants you to walk away with a little somethin' somethin' to help you create your own: they're giving away ten $50 PC Gift Cards in addition to the grand prize, so you have more chances to win than ever! Want in on this giveaway? 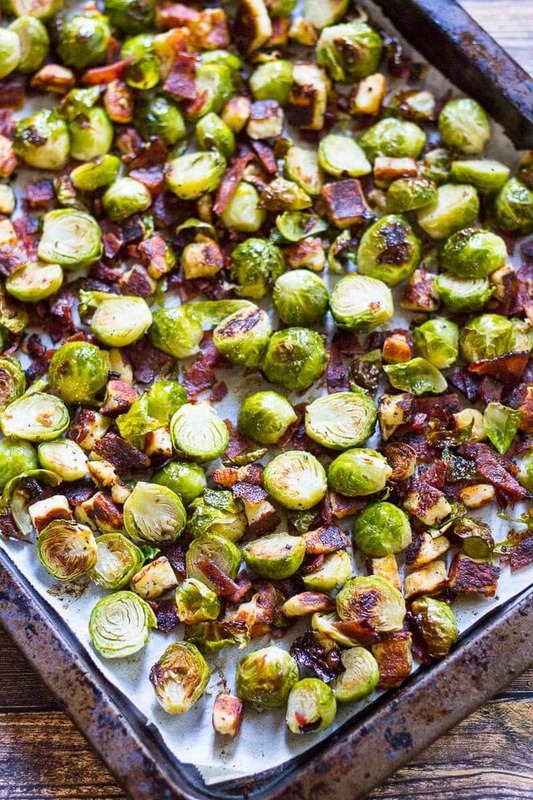 And if all else fails, at least you have this bacon brussels sprouts recipe up your sleeve, right? 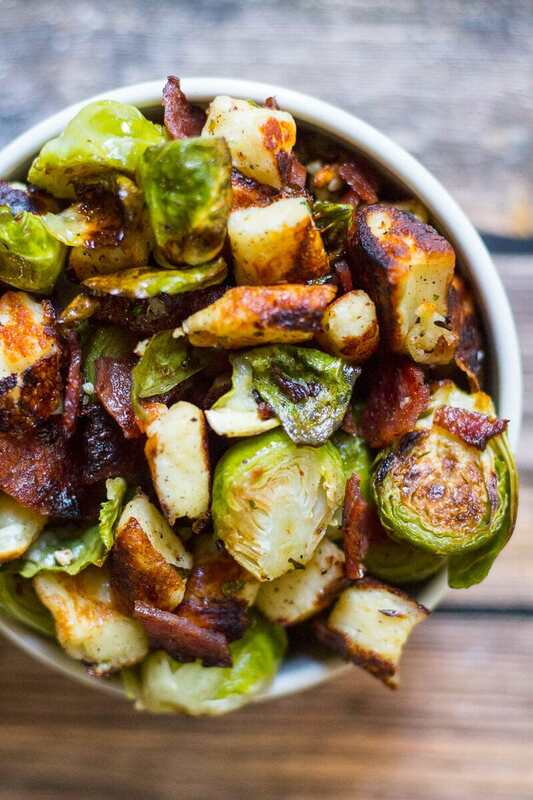 Will you be making these Bacon Brussels Sprouts with Halloumi? If you try any of my recipes be sure to let me know on Instagram, Twitter, Facebook or in the comments – I’d love to see what you come up with! Cook bacon in a large pan over med-high heat, about 2-3 min. Add diced halloumi cheese and fry for 1-2 min. 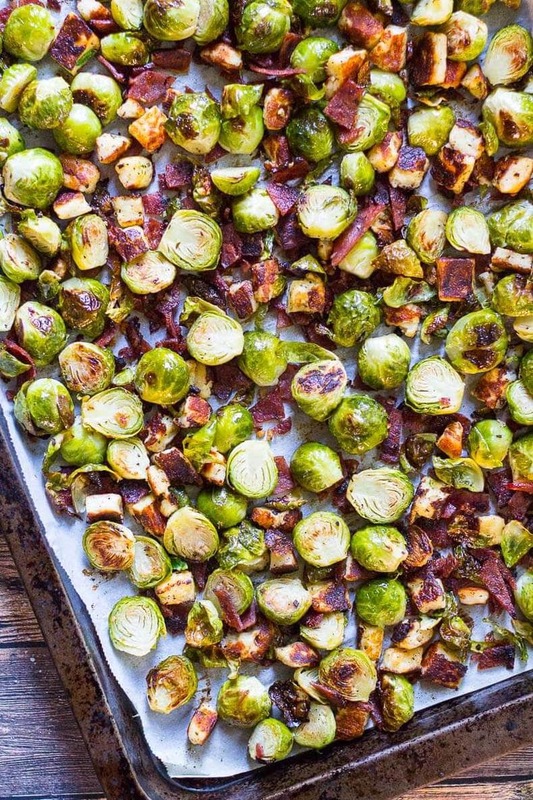 Meanwhile, wash and slice brussels sprouts in half. 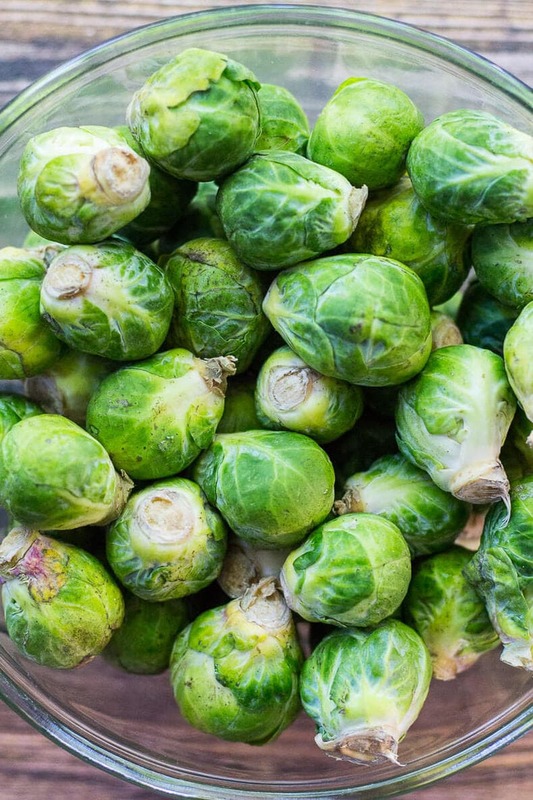 In a large bowl, toss brussels sprouts in olive oil, salt and pepper. Toss with bacon and halloumi cheese. Spread mixture among a parchment-lined baking sheet, then bake in the oven for 12 min, tossing halfway through. Remove from oven, serve immediately and enjoy! These look great! 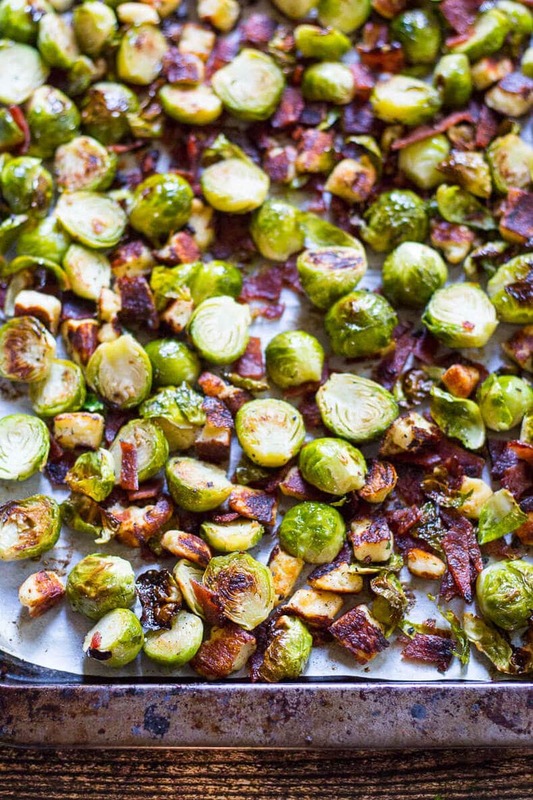 I love me some brussels sprouts… and bacon, duh. Halloumi is one of my favorite cheeses. Your family is so cute!